Well I was lured by the siren call of yet another Kickstarter this time one for Dwarven Forge. Costs are going up on the material they use for their dungeon sets and they found a new material that not only cheaper but more durable. They claim that it is strong enough to endure being thrown into a backpack and carried around. I am the type of referee who likes to use miniatures and props and on occasion I like to use the one dwarven forge set I down along with the set that Dwayne of Gamers closet built. However the use of the dwarven forge set has been hampered by only having one. So looking over the Kickstarter I just couldn't resist jumping at the $120 level. For the well heeled gamers the price breaks on multiple sets get to be incredbly low at the highest level down to almost $50 a set. I recommend people club together to pool their money together. I what my friend Dan and I did for the Reaper Miniature kickstarter along with a some other folks getting for a specific piece like the giant Cthulhu miniature. Tenkar has the latest details here. I am involved in a peripheral way drawing up a map of Muntberg and adapting my take on the old Outdoor Survival Map to the details of James campaign. Tavis was in contact with me and the other Dwimmermount artists when he was trying to handle James silence. During this I was one of the persons who suggested that the original draft of Dwimmermount be made open content in the same way that Blackmarsh is. While the project was stalled people been crafting their own version and that got me to think why not just give formal permission in the form of an open license. 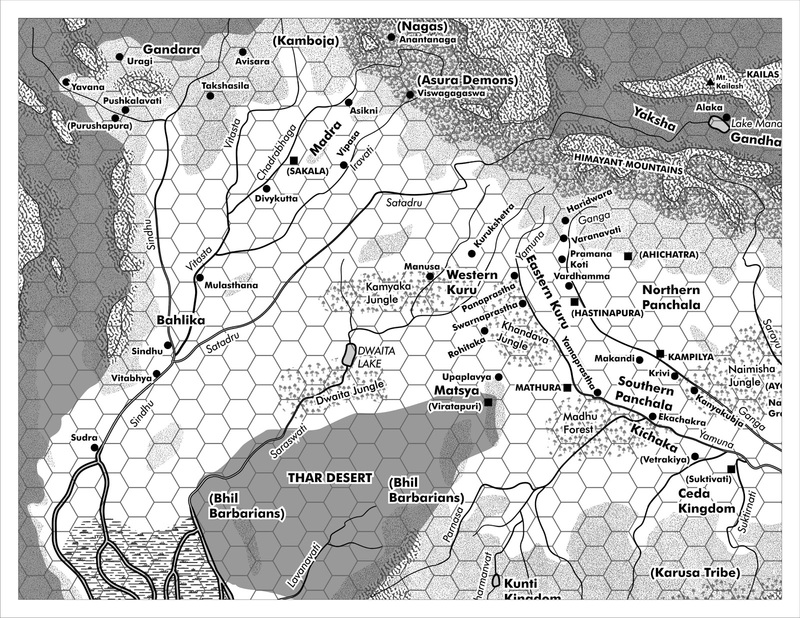 One of the main reasons that I opened Blackmarsh was to serve as an easily accessible and modifiable example of a hexcrawl formatted setting. An open Dwimmermount can do the same for Megadungeons. The fact that James grounded Dwimmermount tightly to the roots of D&D and classic fantasy makes it ideal for this. While Blackmarsh was used as the foundation of Hexmoor and a setting for Heroes and other worlds, what I encounter the most is people cherry picking selected elements for their own campaign. I think that how people will use an open Dwimmermount. So I am glad this is getting resolved and looking forward to what Tavis and the Autarch team come up with. Lythia.com is the site to download various fan created items for Harn and Harnmaster and it all free to the download. Some items are specific to the world of Harn while other are generic and can be used in any fantasy medieval campaign using your favorite set of rules. This is a scanned handdrawn alternate set of floorplans for Gythrun castle in the Kingdom of Melderyn. However the article is just floor plans so you can use it as a generic castle in your campaign. A fan with a good knowledge of Geology comes up with a consistent of why Harn's landscape is the way it is. 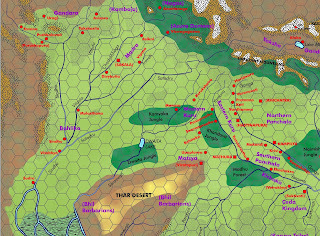 It does some use in a fantasy campaign as it shows how the underlying geology can impact who and what is found in a area. Maps of a hideout, tavern, and a weaponcrafter shop. Useful for any fantasy campaign. A small village in the Kingdom of Kaldor. With a small amount of work can be used in any fantasy campaign. It also part of a project to completely detail Nelafayn Hundred in the Kingdom of Kaldor. A hundred is a territorial subdivision of a shire. In England it represented land worth a hundred hides enough to sustain a 100 households. 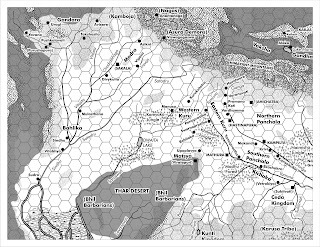 You can download a free Harn Map Key from RPGNow. One of the fallouts of the Dwimmermount mess, is that OSRCon lost the ability to use Grognardia to get news out. Given that they are having difficulty securing an inexpensive location to hold the con that makes things doubly harder. So to do what I can, I want to let folks know about the OSRCon and it's blog. 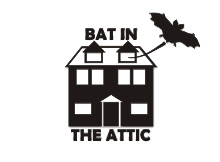 As a favor hop on over and see if you can help Chris and his crew keep this fun corner of the OSR in Toronto going for this year and for years to come. Labels: Legacy DnD, News, OSR. New D&D Next Packet, Vindication at last! Yesterday Wizards dropped a new D&D Next packet. This featured the addition of the Druid, Ranger, and Paladin. Along with rules for exploration. So why vindication at last? Truth be told it is nothing major just a pet peeve of mine that has been finally rectified after 30 years. See in Dragon #39 the Anti-Paladin was presented. After reading it I thought the whole concept was shaky. To me a anti-paladin is Lawful Evil a champion of of Order at any cost. The idea of any type of Chaotic Evil "Order" was stupid. From that I developed a Lawful Evil Myrmidon class which was my version of a Anti- Paladin. So when I started reading the Paladin class in the new D&D Next packet I found they added three themes; Paladin, Warden, and Blackguard. The description of the Blackguard is very close to what I describe my Myrmidon to be; a divine champion that promotes order regardless of the cost. The Warden is interesting as well basically a divine champion of nature described as similar to the Green Knight of Arthurian legend. D&D Next's Ranger feature the return of the class to it's Dunedain roots. And the Druid makes its appearance as well. Also interesting is that the Paladin and Ranger feature spell casting as a class feature starting at 1st level rather than the higher levels of older edition D&D. Finally they added rules for Exploration, nothing fancy but a clear and straightforward system of resolving travel and exploration extending over days and weeks. D&D Next is shaping up to be a solid variant of classic D&D about as different as Blood & Treasure, Castles & Crusade or the other clones that mix 3rd edition mechanics with older edition design. And perhaps that why it is receiving a lackluster response in the OSR. It is not that D&D Next is bad, but rather the gamers of the OSR have moved on to a do it yourself ethos. Ultimately I think the fate and popularity of D&D Next among the OSR will be two things. 1) That the straightforward presentation of the playtest is retained in a supported core product, and 2) that a reasonable license is created for third party products. And even then it main use will be as a publishing tool in the same way the same product is released by a OSR publisher in a Labyrinth Lord version and a ACKS version and so on. And as a common ground for when gamers attend conventions and store events. Anyway this version is worth checking to keep up on what Wizards been doing and after reading it I am cautiously optimistic that D&D Next will be a good thing for the OSR. From the onset Petty Gods was a community product meant to evoke the classic Judges Guild product Unknown Gods. Given the number of the readers that the Grognardia blog had the response was very good and promised a exciting product showcasing the best of the OSR community. I don't need to recap the subsequent events but it is clear now that even if James was to resume writing for RPGs he will have his hands full with Dwimmermount and other commitments. So when I saw Gorgonmilk's post about doing the editing and layout of Petty Gods I feel that is an excellent idea in order for the OSR community to continue to move forward and get this excellent idea of a product finished. So if you are an artist, author or contributer to Petty Gods head over to Gorgomilk's blog and see what can be done to get your material in his hands and get Petty Gods out. Over on Tenkar's Tavern Erik talks about the addition of roleplaying hindrances to classes to balance class powers. His observations and many of the comments are mostly negative on the idea. I strongly disagree his conclusion about Paladin example which is to ban them from his campaign. Roleplaying hindrances work when they flow out of how the referee runs his campaign. Like the powers of the classes themselves there is rarely a problem if that how the setting actually works. Paladins are divine champions of good and make sense that they have power beyond that of ordinary fighters. However they also only make sense if they are truly servants of good, just as it only makes sense for a character to be a knight if he showed loyalty to a liege at some point. If the referee doesn't care about religions and ethics in his campaign that when he shouldn't allow Paladins as characters. But if on the other hand the referee does enjoy this type of roleplaying then the problem will fix itself as the player will be dealing with the complication of being a Paladins. The various roleplaying limitations in my Majestic Wilderlands races and classes are the result of year of playing through various camapaigns and finding what worked and didn't work. Not just what I am interested in but also what is fun and enjoyable for the players that play in my games. The roleplaying hindrances that survive are those complications that both I and the players enjoy dealing with. Class balance is a illusion and a mirage that wastes the time of referees while running their campaigns. After 35 years of roleplaying I am convinced that the only time balence is needed when you are attempting to be fair during some type of organized play like a tournament or game store events. Otherwise powers and abilities should reflect the genre or campaign the referee is running. 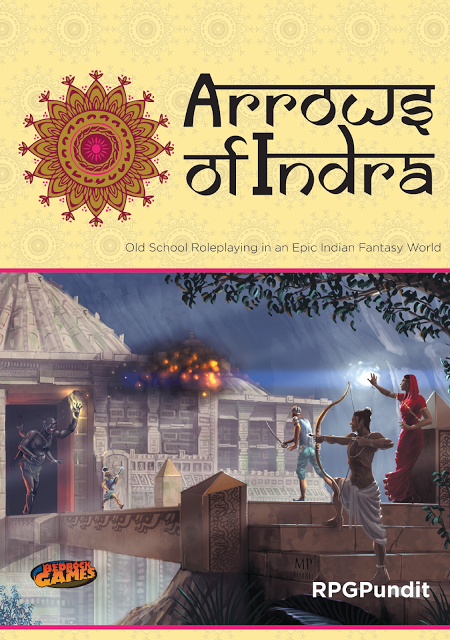 Bedrock Games and the RPGPundit just released the PDF for Arrow of Indra. 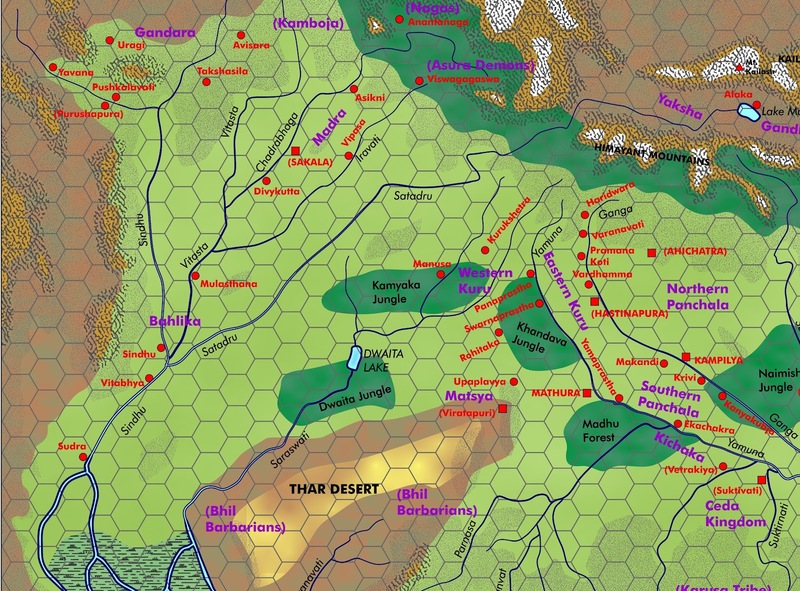 A old school RPG designed to reflect the myth and legends of India using the mechanics of the original 1974 roleplaying game. And it features some maps by yours truly.